James Bond is in trouble. This time there is no golden bullet with his name on it, nor some assassin lying in weight. Not even a woman to win over or glory to be won. Rather the forces of history, bad decision-making and horrible timing are the hands that are ever so slightly, tightening around his throat. Which brings us to our first enemy: Bad Decision-Making. 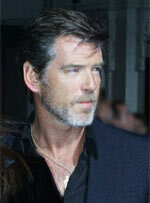 Pierce Brosnan. That name itself brings to the minds of Bond fans frustration, exasperation and many heads doing a double take as rumors and news circulate through the media machine. One has to wonder where the doubt is coming from in regards to the Powers That Be�s decision making. To decide not to have your well established James Bond actor to return and, at the same time, decide to forgo the usual spit and span, rollercoaster high on visual effects high octane action that is big enough to fill even Donald Trumps ego blockbuster, to a �by the book,� intellectual James Bond, that all of the die hard fans have been waiting for, for years nonetheless, is quite simply, complete suicide. Which brings us to our next enemies: History and Horrible Timing . Historically, James Bond fans, in general, do not enjoy a new actor who drastically alters the character in such a short span of time. Looking back in 1969, Mr. Bond had an interesting year full of change. Despite the fact that On Her Majesty�s Secret Service is considered by many to be one of Flemings greatest work and that director Peter Hunt followed this literal work as close as he could, the movie still resulted in almost being a huge failure and did not sit well with audiences. But lets face it, at this time Mr. Connery�s shoes was very large to fill and made bigger with the decision in bringing unknown George Lazenby to the role, who even told Mr. Hunt, �I�m not an actor.� Sure, the movie did very well and was even number one in the box-office for many weeks, but compared to the early Connery�s, very dismal. 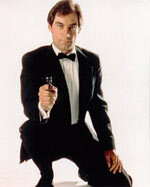 Flash forward to the year 1989, where Mr. Timothy Dalton was donning the suit. Mr. Dalton was determined to bring James Bond back to his literal roots. This hard-edged, more realistic portrayal would be a welcomed change, after a much different approach by Roger Moore. The previous film, the Living Daylights, was written for a general actor, which more or less forced Mr. Dalton to, at that time, play along and put a few hints here and there on where he wanted to go with the character. Now, as the second movie ramped into production and showing everyone that he wasn�t a one-night stand like Lazenby, it was the perfect opportunity to show the world what his Bond was made of. Unfortunately, this approach, as seen in Licence to Kill, wasn�t well received by audiences. This time, the evidence flavors into a little more than box-office performance, but rather Licence to Kill being considered by many fans, as one of the worse Bond films in its history. I would say that the above two instances resulted in just bad timing. It is very hard to change the main character and, at the same time, the world around him. I cannot help but wonder how On Her Majesty�s Secret Service would have been received if Sean decided to make this one his last. Unfortunately for Mr. Dalton, the fans weren�t used to seeing him as James Bond. With a few more movies under his belt, I would bet my mothers cookies that it would have been viewed a little better. Unfortunately, the writers and producers went for home base without rounding first, second and third. I can�t help but view the current situation that the franchise is in as being history repeating itself. The creative forces are aggressively looking for a new James Bond and at the same time, changing who he is. With the current rumors stating that Pierce may be back after all, I can only think that if they decide to go back to the basics, that only Mr. Brosnan himself can make this drastic transition possible. He is well established, well liked, and simply put, the James Bond that can find himself again.